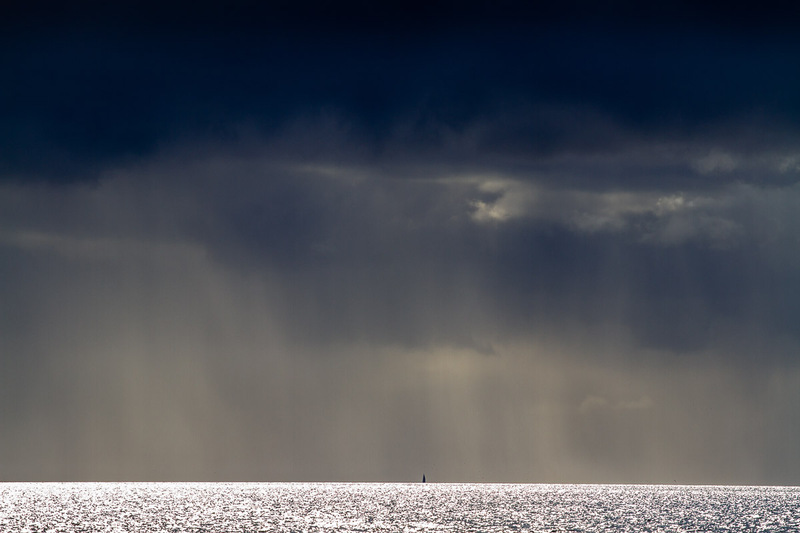 Storm clouds rolling in from the Pacific dwarf this yacht as it makes it way out of sheltered waters. These clouds were the beginning of 48 hours of gales and rain. Happy to be ashore.